This pre-conference event is designed for individuals who are relatively new to the MBA career services profession. We're pleased to once again host the pre-conference session for Directors/Career Center Leaders! You try to be a Patriot and Boston Strong. But sometimes a Dunkin regulah is just not enough to get you through the day. Thank goodness your colleagues are Shipping up to Boston to share experiences around lead-aship and cult-cha change. It’ll be a wicked awesome pah-ty! Get together and expand your network with other MBA /Masters Career Center leaders for a pre-conference interactive discussion to compare best practices and create new solutions. It’s time to spill the beans!. Through panel discussions and round robin table networking, we’ll bring innovative approaches to leadership issues including reimagining the graduate student experience, leveraging AI to scale impact (and more transformative conversations), and moving beyond one-time partnerships to true ecosystem integration. Today’s career center is the Tom Brady of quarterbacks bridging enrollment, curriculum and outcomes. So, how do we stay at the top of our game? Let’s start a revolution! Network with other new members while learning more about MBA CSEA! More details coming soon. In Beantown (Boston’s nickname), we will have the unique liberty to Spill the Beans instead of holding back! We will kick off the conference programming with these sessions, which allow conference attendees who share similar roles at their university or company to engage in energetic activities – connecting, asking questions, and sharing ideas and information with like-minded colleagues. Due to positive feedback from last year, follow-up sessions will be offered again this year to continue the discussions on Thursday afternoon. We’ll share grandma’s secret ingredients in Spill the Beans Session 1 and spice them up to win Michelin stars in Spill the Beans Session 2. We hope these sessions will create some new recipes for success! Co-facilitators: Phil Han, Director of Recruiting Operations & Career Advisor, UCLA Anderson School of Management; Mitchell Kam, Director, Career and Employer Development, Weatherhead School of Management, Case Western Reserve University Navy, pinto, kidney, mung, soy, green, Lima, black, garbanzo, fava. Don’t forget Boston Baked Beans! These are a few of the many cool beans to choose from for your next feast. Like the wide variety in the bean family, career center team leaders roll out their talents in a myriad of areas. What are best practices for working with international students? How can student engagement and employment opportunities be increased? What changes can be made to improve employer development and enhance relationships? How can technology improve some processes? Are the best metrics being utilized to measure success? Join us for an interactive session to discuss these questions and more. Note: This is different than the Directors/Leaders session, which will be a pre-conference session this year by invitation only. Just like there are all varieties of beans, we engage with a diversity of recruiting partners that have differing service preferences. Have the beans on our menu of services and programs become too bland? What other spices can employer relations professionals add to the pot to more effectively engage with companies interested in recruiting our students? How does your ER team taste test the effectiveness (flavor) of your recruiting relationships? This session is designed to share best practices and experiences and generate new recipes to enhance the important partnerships we seek to develop with employers. Just as different beans serve different functions, so do the diverse candidates you seek to serve your organizations. Exclusively created for employers, you will have the space to put your heads together. What tools do others use to increase efficiency? How do you measure the ROI on diversity conferences and on-campus engagement? What are the best practices for virtual recruiting? What was something that one school did well which you wish every school would do? What were some ideas that initially seemed odd but worked out beautifully? Share your experiences and ideas with your peers, and inspire each other to generate more! This session is for those who break out their magic beans to make every program and event go off without a hitch. You sit in operations-focused roles in Career Services, Employer Relations, or on a Recruiting team. You will have the opportunities to network with other conference attendees while sharing best practices, challenges, and new ideas for improving the operational effectiveness of your team, department, and school. Cooked up just for coaches, this session is an opportunity to share your experiences, learn from colleagues from across the country and abroad and come up with some great recipes to take back to your team. In small groups, we will have the opportunity to discuss issues most relevant to our work and collaborate to find solutions to your most burning questions. Possible discussion topics may cover the raise of AI in recruitment, working with international students, generational learning style differences, assessments, networking, and more…ultimately, the choice is yours. So come ready to spill the beans on what's been working for you, what hasn't been working, and create some delicious recipes to support your students in achieving their career goals and build effective relationships with your team and corporate partners. Drawing on the themes from her time management books, Laura talks about how to manage the 168 hours we all have each week to get the most out of your professional and personal life. In addition to sharing her top 7 time management tips, Laura will provide some real-life examples of how individuals can tweak their schedules to put her tips into action. Learn about the key features of the Standards for Reporting Full-time MBA Employment Statistics, focusing on the following areas:- (i) background to Standards and common uses (ii) an introduction to the key features of the Standards, including student status, compensation reporting and accounting for dual-degree students. This session will be invaluable for career services staff who are new to employment data reporting and the application of Standards. Join us for a Fireside Chat with a business school dean and strategic industry leaders as they discuss the “Workforce of the Future”. This session will focus on MBA and Specialty Masters hiring, and how students from these programs will impact organizations in the coming years. Join us for a second opportunity to share and collaborate among those in a similar role as you! In Beantown (Boston’s nickname), we will have the unique liberty to Spill the Beans instead of holding back! We will follow up with a second round of these sessions, which allow conference attendees who share similar roles at their university or company to engage in energetic activities – connecting, asking questions, and sharing ideas and information with like-minded colleagues. We’ll share grandma’s secret ingredients in Spill the Beans Session 1 and spice them up to win Michelin stars in Spill the Beans Session 2. We hope these sessions will create some new recipes for success! Does your school participate in the various business school rankings? Does your company use the rankings as part of your school selection or recruiting strategy? Many of the organizations conducting rankings are using more and more data out of career centers. Join our panel discussion to learn more about the components of some of the major rankings, what they mean for business schools and recruiters, and challenges experienced by non-top tier programs. The session includes a Q&A opportunity for participants to ask burning questions of participating rankings institutions. Using data to tell a compelling story can sometimes be daunting. How you present data plays a big role in getting your message across in a succinct, memorable and impactful way. Showing the right information in the right way should not only inform and engage your stakeholders, but should also enable your message to stand on its own. Christine Van Dae from the HBS Career & Professional Development team will walk you through best practices for storytelling and data visualization. This session will be applicable to anyone who works with or presents data designed to guide strategic decisions. â€‹We spend most of our waking hours focusing on others’ career development. Now, it’s our turn to reflect on our own career planning! Engage in a dialog with those who have advanced their careers within career centers or pivoted into different industries. What are the possibilities and opportunities? Conduct our informational interviews and seize the hour to design our future. Join this discussion session for an in-depth look at the results of the recently-released 2019 GMAC Corporate Recruiters Survey. We will discuss the hiring outlook, including salary projections, employer demand for MBA and specialty master’s business students, and international students. We will share information about shifts in business school demand, as reported from prospective students and admissions departments. We invite employers and school professionals to join this year’s discussion to share what your programs are doing to assist students in their job search. Advising International Students About Job Searches in the U.S. This session will assist Career Service Professionals and Employers with the thorny issues that most often surround employment of international students. The speaker has nearly 30 years of experience representing employers who hire international students. and She has a keen understanding on what employers look for in hiring international students and what the students should do to make themselves on as level a playing field with US workers as possible. It We will give discuss the tools the students they need to overcome the false belief that “employers won’t hire international students” and it will give employers will receive the information they need to demystify the hiring of international students, allowing them to hire the best and brightest for the jobs available. Strategic deployment of artificial intelligence allows career advisors to spend more quality, customized time with students in individual, face-to-face appointments. In this session, we will share specific ways we have carried out this strategy at MIT Sloan. Additionally, we will lead participants in a brief but impactful coaching exercise, an example of the deeper advising work that is AI enabled, through a peak experience exploration that will surface core values. Learn how to create a new expression of your talent brand that aligns with who you are and who you inspire to be as a company. Come learn how to improve authenticity by creating more consistency between the internal and external experiences to build a stronger connection with perspective talent. Join members of Chicago Booth’s Career Management team as we lead a workshop to discuss the impact of prioritizing an internal tech team. We will dissect our most recent EdTech projects including designing a pilot and launching a career services “course” via the Canvas learning management system (LMS) with a 97% prematriculation adoption rate. Additionally, we will share how we’ve been able to research, test, and scale different EdTech projects using some free resources (e.g. Slack, Zoom, Google Drive, YouTube) and more, while developing a strategy that works for your own team. Finally, see what projects are on the docket for the future. It’s complicated enough to prepare a student over 2 years of time for the job search process. What if you only had 10 months? To help start the process early, and try and prevent the “panic” stages students can often experience at the end of their program the SMU Cox School of Business designed the MS Career Management Kickstart G.O.A.L.S program. The Kickstart program consists of 10 components and serves to set clear expectations regarding the preparation it takes to find a job. It launches in June before MS students step foot on campus, providing deadlines/ deliverables throughout the summer. In this interactive session, we will be working together to address best practices, metrics, and outcomes on how to better prepare MS students for the job search process. With skilled workers in demand and a favorable immigration climate, Canada may be an attractive option for business graduates from around the world. Learn how and when to advise students about considering immigration to Canada as a career option. In this interactive session, representatives from the Consulate General of Canada and the University at Buffalo team up to offer an overview about the Express Entry process and facilitate a discussion about best practices and strategies for incorporating Canada in career planning, which may be of particular interest to international students looking to locate in North America post-graduation. Mentorship unleashes social capital and opportunity, paving the way to lifelong career success for MBA and Specialty Masters students. The advantages of mentoring are compelling, but the reality is that the vast majority of students do not have access to effective or adequate mentoring, and in turn, are not afforded their benefits. The result is the mentoring gap. Given the many reasons for the gap (difficulty organizing cross functionally, small staff and budgets, etc. ), a new model is needed. Graduate programs will need to leverage technology, put students at the center, personalize offerings, and simplify/consolidate resources to achieve this goal. Coming Soon to Grad School: Gen Z! While Millennials are the largest demographic in the workforce, Gen Z, is even larger, and they're coming your way! Jamie has completed more than 10 years of research on the differences between Millennials and Gen Z in the workplace for her book, "The Care and Feeding of Your Young Employee," and gives a lively and entertaining overview of how and why the younger generations are different, with specific tips to maximize engagement. They are VERY different from previous generations . . . and we can learn as much from them as they can learn from us! • Construction: Designing the course from scratch – syllabus, grading rubric, content presentation methods, etc. The student who has one job offer wants two. The student with two offers wants ten. Or, the student with two offers has an extensive analysis replete with weighted decision criteria, and already regrets having had that wish granted. Making the final decision can send the student into anything from a frenzy of joy to a state of near-paralysis. In this presentation, the author will address the psychological factors that lead to an impasse and (with the audience) will discuss a range of ways in which you can intervene to help students cut the Gordian knot that is holding them back. Design thinking, a process for creative problem solving, is commonly used to create innovative products and services. However, the 5-step approach can be applied to both kick starting and continuing career development and recruitment, and finding your place in an organization. Designing one’s career path is not a typical problem. It requires deep self-analysis, complex real-life experience prototyping, and courageous iteration. In this highly interactive session, we will introduce participants to the concept of design thinking, first walking them through a simple design thinking process (i. e., designing a new wallet), and then applying it to career and intern development questions. While all participants will learn how to apply the methodology to any complex problem, career services employees might be interested most in leveraging design thinking to help students kick start their careers, whereas employers might be interested in having a framework to help their new hires and other reports grow and reach their full potential within the organization, as well as apply the concepts to their recruitment practices. Like many business schools, the University of Oregon Lundquist College of Business tracked employer and industry engagement at multiple points in the college using various spreadsheets, CRMs and software. The team is now utilizing Salesforce to pioneer an engagement process that harnesses siloed data and focuses on a more comprehensive level of relationship development through employer scorecards. Through deliberate goal setting and centralized tracking the college realizes stronger student outcomes, more engaged employers and more actionable data. Attendees will be engaged in a discussion around important nuanced employer relations metrics and how to meaningfully develop them for your team. There is a lot of buzz around the desire for purpose in the workplace. The desire for meaning is intergenerational and critical for employees to remain engaged. How do you achieve purposeful, productive and meaningful work? By exploring talents and discovering moments that matter: Show Up (Engagement), Change the Lens (Perspective), Suspend Self-Interest (Selflessness), Own it (Accountability) and Up Your Game (Improvement). Employers will walk away with strategies to recruit potential candidates and retain employees. Coaches will help their students to seek and find meaning in their work. Working professional students and alumni typically have only a limited amount of time on campus. So, the traditional high-touch methods of face-to-face career coaching and in-classroom workshops are not always a practical option for these populations. Fortunately, there are “flip the classroom” technologies and techniques commonly used in academics that can be effectively deployed to meet career goals. Recorded lectures and readings are reviewed before meeting to actively apply the knowledge in a workshop or lab setting, online or in person. The career coach’s role is to facilitate deeper learning rather than teaching foundational concepts. This session is aimed at participants who are already familiar with the key elements and principles of the Standards, and are looking to develop a deeper understanding of some of the more complex issues thrown up in employment data reporting. Members of the Standards committees will outline some of the more frequent questions that have been asked over the last year, and will also offer the opportunity to ask questions about issues that arise when collecting and reporting employment data. The World Economic Forum’s Future of Jobs Report now believes that Emotional Intelligence will be the second most sought after skill by employers by 2020. Likewise, a CareerBuilder survey found that 71% of employers value EQ over IQ during this 4th Industrial Revolution. Research from Stanford University across fortune 500 companies showed that 90% of those who failed as leaders did so because of lower EQ. In this session, the participants will get data and information on major transformation of a traditional career services model to personal and professional development model where EQ plays a key role to differentiate talent. They will also get insights on how to get buy-in from the Faculty to understand the shift in traditional career services to personal and professional development services and learn about a tool that UBC Sauder has chosen as the core of their transformation – which is being deployed to 5,000 students. The Harvard Business School Career & Professional Development (CPD) team saw an opportunity to better support employers when it comes to converting offers to hires. To understand what drives student decisions, CPD conducted research with the class of 2019 targeting what’s most important when applying to roles, why they accepted and/or declined offers and what tradeoffs they made in their decision. Learn how student priorities shifted from the internship search to full-time employment and how it is relevant to employers. 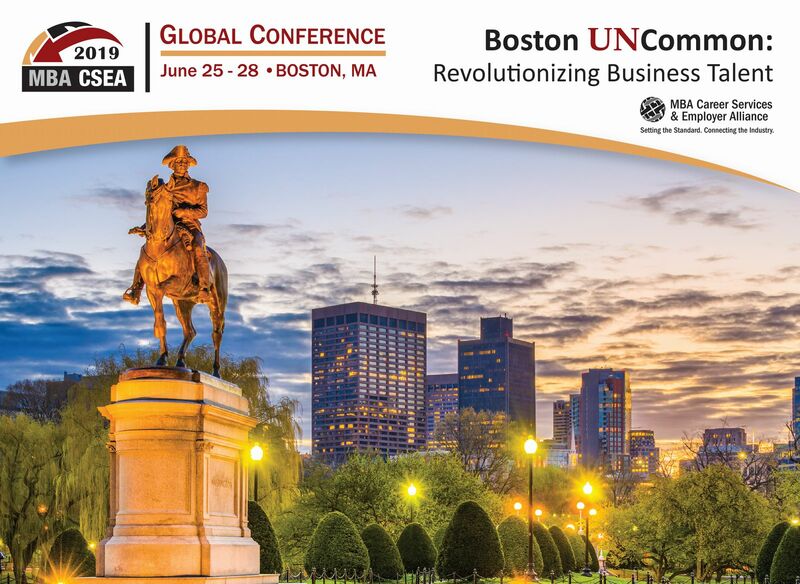 The HBS CPD team will share key findings with conference attendees. The session will be applicable to employer relations teams and employers across all industries. Forbes reports the number of online MBA programs nearly doubled in 2018. With the rapid increase in online graduate programs, career centers need to go virtual. This session will describe the process of selecting a virtual platform, designing virtual programs, and executing virtual workshops, fairs, and networking events. To serve nearly 1,000 online MBA students, Ohio University adopted a virtual approach. Virtual workshops expedite one-on-one resume reviews and career exploration through text chats. Virtual fairs facilitate conversations between employers and students without the constraints of an in-person event. Networking conversations connect alumni and students to promote knowledge sharing and serendipitous encounters. Imagine if your students could think, talk, and analyze business in a structured manner...early in their MBA! Students would confidently navigate the MBA curriculum by seeing how all the pieces connect. Career-Changers and Working-Professionals would be able to better identify and pursue opportunities in an organization. The challenging student populations (International and Introverted) would be able to present themselves more effectively. All students would be able to successfully network and interview by speaking the language of business with ease. The “Concept of Business” framework is a simplified and structured approach to align their program’s curriculum while seeking career opportunities. In this session, practitioners will gain the skills to formulate creative questions to tap into the students’ internal strengths, thereby helping them navigate through their school/work transition challenges. With guided interactive demonstrations, practitioners will learn how to utilize positive coaching/counseling techniques to help students overcome personal and professional uncertainties along with narrowing their job search skill gap. More importantly, practitioners will learn how to co-construct actions plans and goals in a single session and gain the skills to address students’ complex problems without jeopardizing their own level of career well-being. If 10 candidates are interviewed, and all 10 have great STAR stories and similar work experience, yet only 3-5 can get advanced to the next round... how do Interviewers actually decide on who are the real Rockstars? Come to this "Train the Trainer" module that will teach career center coaches step-by-step how to leverage a time-tested frameworks to teach "Advanced Interviewing Skills" to ANY student. Frameworks presented will be based on research conducted among a variety of industries who recruit graduate business students. Join us to think about how you approach your student coaching with a growing specialized international Masters / MBA population. Fisher College of Business has adapted a fresh innovative way to actualize the positive influence of peer support through a forward-thinking technique while simultaneously teaching new job search strategies/skills in a collaborative environment. The Job Search Action Team approach consists of a cross-section of graduate degree students (8-10 per team), who participate in team coaching. Each Team is facilitated by a career consultant. Participants will experience a simulated job search action team, ask questions, and discuss strategies for and benefits of implementing this unique group coaching approach. Best practices will be shared for handling logistics of implementation and measuring the outcomes of the program. What if you only have a minute for mindfulness? Just like the American colonial partisan militia who were ready at a minute’s notice to fight, we can learn quick techniques and tools to get out of The “F” Zone; that subtle feeling of fight, flight, freeze, frustration, fear, or fed-up. Whether we’re “in” it or see it in a colleague, data shows that mindfulness techniques can improve work focus, job satisfaction, and a positive relationship to work. Let’s take a minute (or two) to practice what General Mills, Goldman Sachs, Google, and Apple have known for years; the importance of mindfulness. Be prepared to participate in meditation exercises that will set aside your demanding boss, wicked-crazy recruiting schedules, entitled students, and multitasking reminders. Leave the session with techniques to bring you focus, clarity, and the ability to switch gears leaving you feeling calm, confident, and connected. Learn about the key features of the Standards for Reporting Part-time MBA Employment Profile. The session will include an introduction to the Standards and their application, as well as Q&A and feedback relating to members’ observations in the first year of implementing these standards. Learn about the key features of the Standards for Reporting Specialty Masters Employment Statistics. The session will include an introduction to the Standards and their application, as well as Q&A and feedback relating to members’ observations in the first year of implementing these standards. No one is disputing that Career is critical to the MBA student. But now institutions are starting to think about it in terms of how it can have an impact on institutional goals and drive enrollment. Historically the career office supported the needs of the enrolled student; but that is changing as institutions are realizing they need to consider how to use career to reach prospective students. This session will show you how both a private and public institution are integrating career into their ecosystem and the impact it can have on strategic objectives such as enrollment, retention and outcomes. The Boston MBA/MS Career Consortium has a legacy of 20 years with 10 Greater Boston business school members. We benefit from the experience every career coach brings, share best practices regarding career education programming and coaching, and collaborate in terms of joint events and learning opportunities for our students. We are excited to be offering a panel on the benefits of a consortium for member schools and their students. The panel will include representatives from diverse types of consortia across the country who will share their experiences and views on what a consortium can provide. Topics may include type of consortia, annual Professional Development Day and leveraging our strengths as a group related to employers and external vendors. A masters students’ path to recruiting success demands a unique skill – conquering the case interview! All masters students should expect to face a real world challenge designed to test their problem solving skills. USC's Masters in Business Analytics team has developed innovative methods to progressively build both business and quantitative interview skills in their students. David Ohrvall, master case interview trainer, will refresh your case interview knowledge, give you tips on how to counsel a variety of students and engage your thinking with a real case problem. Come ready to engage and learn in this high energy, practical session. This session is intended to educate career coaches and employers on how student self-awareness and other-awareness may affect hiring behavior, and provide them with the tools and techniques to effectively partner with students in exploring, clarifying, and communicating multiple aspects of their personal brand in a career advising or recruiting capacity. Relevant research and employer testimonials will be utilized to draw insights on how self- and other-awareness affects recruiters' selection of candidates. We will then review exercises and techniques to help students crystallize their brands and stories across a variety of platforms and situations throughout the recruiting process. • Help employers and career coaches identify and develop strengths in students and reports. • Provide to employers the multiple competencies that should be expected in interviewing. The INSEAD Employer Engagement team's target was to attract 500+ companies, posting 5000+ jobs, recruiting new opportunities to be promoted to MBAs, Executive MBAs, and Alumni. While job outcomes hit KPIs, student satisfaction lagged behind expectations. Under new leadership, the focus has shifted back to our primary stakeholder, the student, and has yielded considerable results. After all, the KPI of student satisfaction is perception, and perception is reality. We will ALWAYS have our student stakeholders. And if we focus on this constant, and control what we can control, we can create a consistent approach that creates a better student to careers department relationship. Participants will discuss the actions and results that demonstrate the value teams can earn when Employer Engagement puts the student at the center of its mission. Do you feel like the demand to recruit talent is earlier and earlier every year? How do schools prepare students for recruiting when many students aren't sure what they want to do? What are best practices for productive school/employer collaborations that meets the objectives of both groups? Join school and employer professionals for a discussion around what's working with campus recruiting, where are there opportunities to improve, and what we can do to collectively ensure the experience is fruitful for all including students, schools and employers. MBAs and students in Specialty Masters programs who are entering the workforce will have a variety of roles in a range of industries in the years after they leave our programs. Choosing a career – once a singular experience for a professional – will be something our students will tackle multiple times. For career changers, they may need to shift their mindset around networking and how to accept failures. Design Thinking provides a framework for tackling these "wicked problems." This session will demonstrate a variety of ways career services professionals have used and can use the Designing Your Life (DYL) book and similar frameworks to improve student employment satisfaction and outcomes. 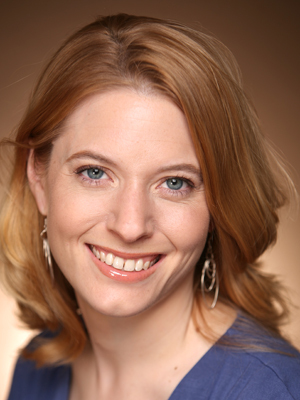 Presenters: Laura Vanderkam, author of "What The Most Successful People Do Before Breakfast". Laura Vanderkam, author of "What The Most Successful People Do Before Breakfast" hosts this session. The nature of college recruiting is usually heavily weighted to certain times of the year. The personal and professional impacts of these demands and how to address them are directly applicable to Laura's points on nurturing careers, relationships and ourselves. During this interactive session, Laura will share insights from her own personal story as well as some case studies. Participants will learn tips on developing habits that will result in positive outcomes for their personal and professional lives.